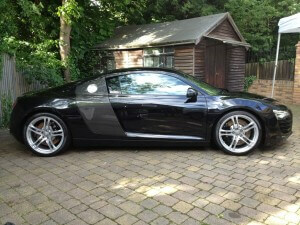 Get your car looking showroom ready with Guildford’s premier car valeting service since 2009. Our luxury car valeting service provides care and quality from a regular valet to a one-off deep clean. And as a premier car valeting supplier your car will only be cleaned with the best products to guarantee no damage or dulling of sensitive surfaces. Clean & revive your cars interior to remove dirt, grime & signs of previous use to help restore an as-new appearance to all surfaces. Give your car a showroom shine with a detailed clean & polish of the paint, wheels & glass for a durable glossy showroom finish. Revive your car inside & out with our full car valet. 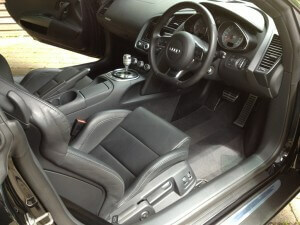 Includes our interior & exterior valet to restore appearance inside & out. This means making sure that your valet is carried out by an Autoglym trained car valet technicians as well as using the correct tools & equipment that ensure great results without the risk of damage or adverse affects. We have years of experience valeting everything from classics to cherished super cars so you can be confident your car valeting service will be carried out with care and attention. A professional car valet is designed primarily to restore an as-new finish to all surfaces of your vehicle. Getting your car professionally valeted in Surrey makes it easy to keep your car looking like new. Only a professional car cleaner knows how to make a car look like new and how to remove the marks and stains that prevent it from doing so. There are many things that can spoil the image of a new car so knowing how to rectify these problems in the best way possible sets us apart from other car valeting services. If a job is worth doing, its worth doing properly! Our professional car valeting services in Guildford, Surrey offer a range of high-quality solutions to get your car looking like new again. Call us today or Book Online to get your car booked in with the best. 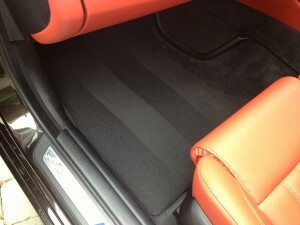 Protect your interior with our Upholstery & Carpet protection against spills & stains! 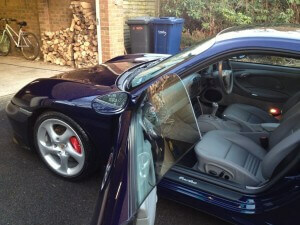 Mobile car valeting services in Surrey, West Sussex & Hampshire. We provide car valeting in Guildford, Woking, Walton, Epsom, Chertsey, Alton, Cobham, Chobham, Elstead, Ascot, Weybridge, Ascot, Godalming, Farnborough, Farnham, Frensham & everything in between. Call Tom today on 07730 426232 for more info. Getting your car professionally valeted in Guildford is important in maintaining a showroom shine and keeping your car looking like new. Like anything, things can be done well or poorly and All That Gleams is designed to offer you a high standard solution to your car cleaning needs. All of our car valeting equipment, products & tools are designed to restore that new car feeling whilst ensuring your car is cared for so that it will stay looking like new for longer. There are many options available these days of how you can get your car cleaned but the methods and tools we use are very safe for cleaning all surfaces of your car and will ensure that all surfaces are restored to an as-new condition without any adverse affects or damages. Call For A Free Quote On 01483 346344! Book your car valet today. Free quotes and friendly advice are a click away!